I recently ran a 21k through a gorgeous trail in a forest in the heart of Delhi. I had peacocks and deer for company and it even rained for about 6 kms of my run. With all that is infamous about Delhi’s heat and humidity, I couldn’t have asked for a better or more beautiful half marathon at the peak of Indian summers! However running and relying on roads for most of my run training, I figured I wasn’t much of a trail runner! Why? Because, I lost my balance many a times on that uneven rough trail and twisted my ankle twice. I call myself purely lucky after having two major ankle twists on that rough trail. Do I not have balance? Will having balance make me a better runner? Injury free yes, but a better runner too? Or a better trail runner? How can I build balance? 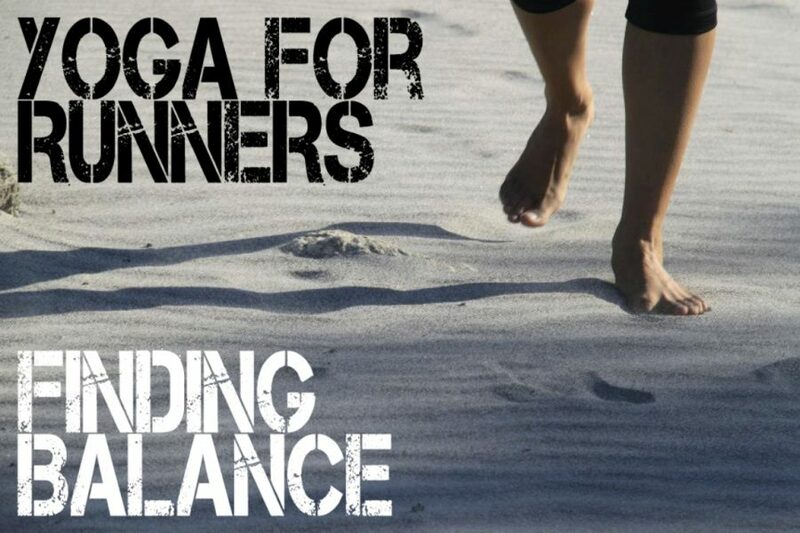 Balance is the single most important component of athletic ability because it underlies all movement. A relatively simple activity such as sprinting when seen from a balance perspective is a highly complex balance activity. At speeds in excess of 11m/sec the sprinter must alternate balancing on one leg and then the other in periods of time less that one tenth of a second. Try losing and regaining your balance in less that one tenth of a second and see how difficult a skill is required. Question no. 2 was very well taken care of by this article. I then went running to my Yoga Acharya, Ritu to help me fix this through Yoga with certain asanas. Pat came the answer from Ritu to practice the Tree Pose (Vriksaasana) at least thrice a week. Start with working on the beginners pose and gradually advance. The idea is to first use a wall for balance. As days go by, try to gradually let go of the wall and find your balance. Remember to keep that one foot grounded nice and hard into the ground. Push your standing leg downward and work hard on pushing your chest out without pushing the abdomen out too. You will definitely fall out of the pose, it is natural. But try to get back as many times and keep trying. The mind is more stubborn and more committed than the body. So stay at it. Never take your breathing in and breathing out for granted. It builds balance in our body. As runners we need this balance to be able to run confidently on trails with uneven surfaces. We need this balance to develop more agility as runners. If you stay in this pose for more than 1 minute, you will see an automatic buildup of focus. You find yourself gathered, balanced and concentrated! With too much talk and pressure of timings etc. all the time in a runner’s life, I personally feel that focus can be put to bettering and bettering myself as a runner. This may be abstract for a lot of runners out there. But balance brings focus. Not Every Man who calls himself a Runner – Truly is one!